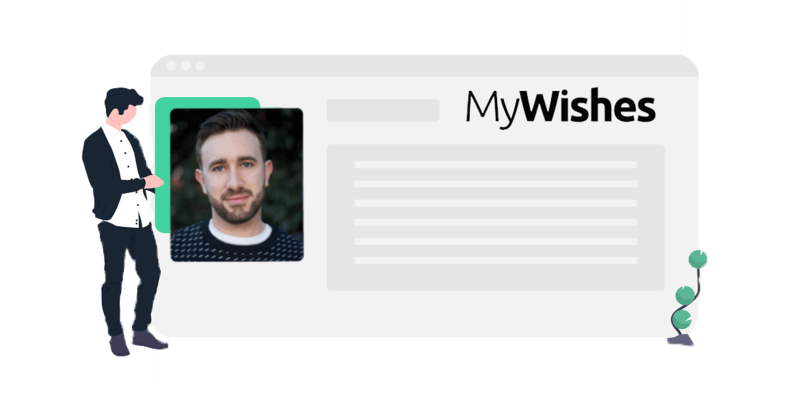 MyWishes’ goal is to ensure that everyone documents what they would like to happen to their physical estate, their digital estate, the care they may require in the future, and the care of any dependents they may have (children, pets etc). We will help you; write your last will & testament, leave goodbye messages to be released after your death, make plans for your future health care, safeguard your digital legacy, publish your bucket list and document your funeral wishes. 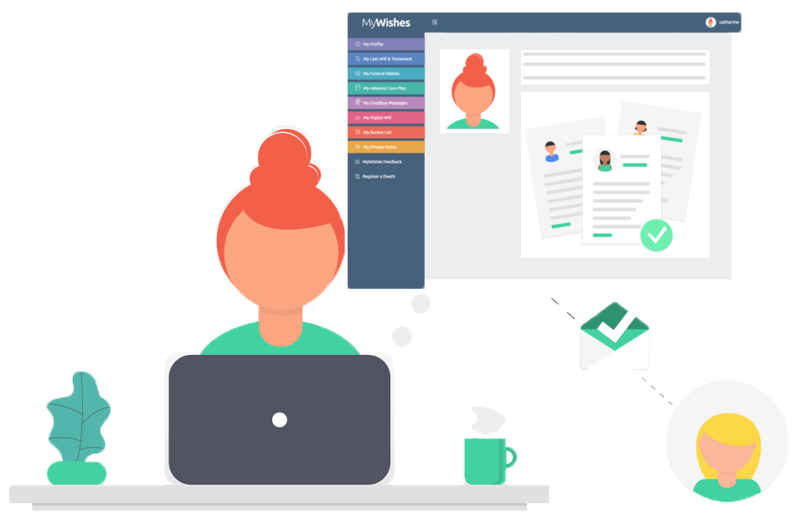 MyWishes provides a range of online tools that generate both legally and non-legally binding forms. Once completed, documents can be downloaded, printed, emailed and shared with loved ones, healthcare professionals and funeral directors. MyWishes is free and both intuitive and easy to use. 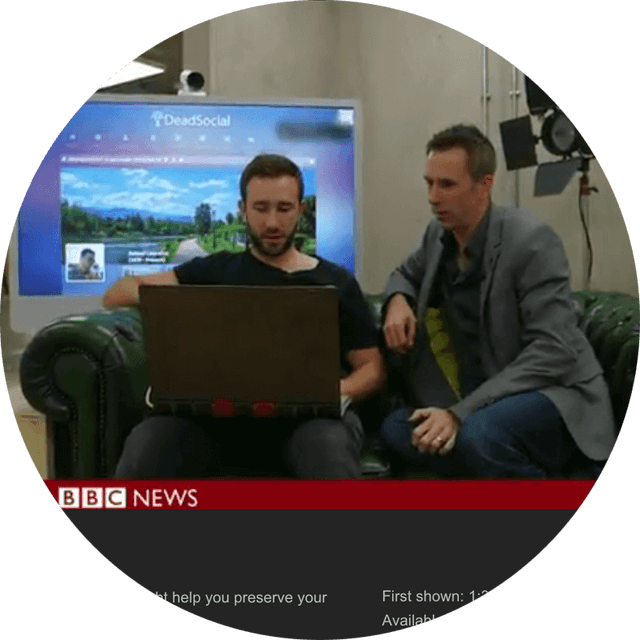 We have created a range of video tutorials to further help our community understand how to complete each specific task. Thinking about death can be scary. There is often confusion over how and when we should get our affairs in order. Making suitable plans is not an enjoyable task to carry out. MyWishes has changed this. We simplify the planning process, remove the financial burden and make planning both clear and simple. Our mission is to ensure that everyone documents what they want to happen with their physical estate, digital estate and future health. MyWishes is a glass box organisation. 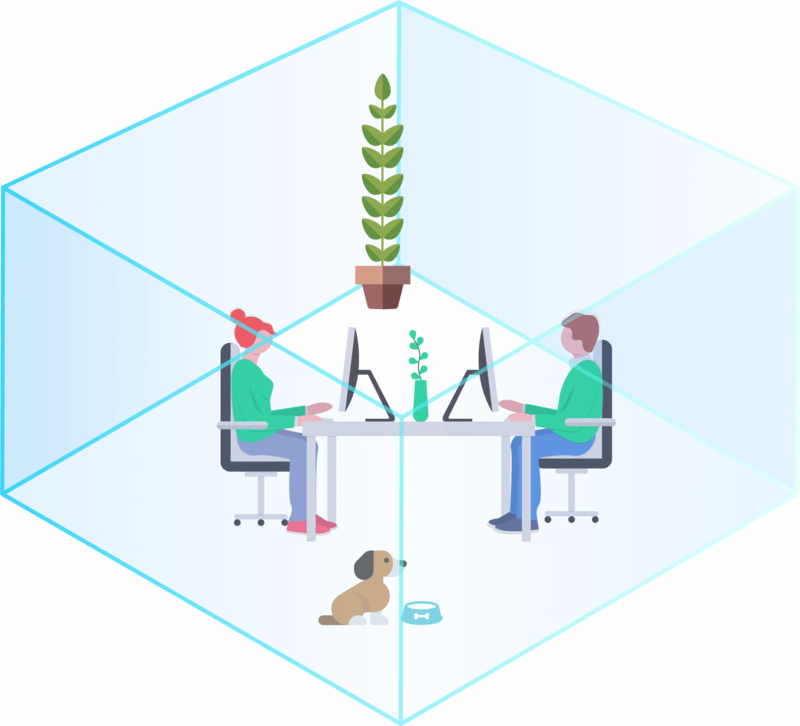 This means that we are open, transparent and honest about what we do, how we support our users, how we are funded our strengths and our weaknesses. We provide thought leadership to a range of charities, organisations and the general public around the importance of ensuring that people's wishes are documented and adhered to. You can stay up to date with what we are doing on our blog and by engaging with us and our story on our social media channels. Our team have raised awareness about the importance of planning for death by speaking at conferences across the globe. These range from the European Association of Palliative Care Conference (Madrid), The Next Web Conference (Amsterdam), The Digital Legacy Conference (New York), Hospice UK Conference (Liverpool) and Click Summit (Lisbon) to name but a few. We provide thought leadership across mainstream TV channels, radio stations, newspapers, online articles and scientific journals. 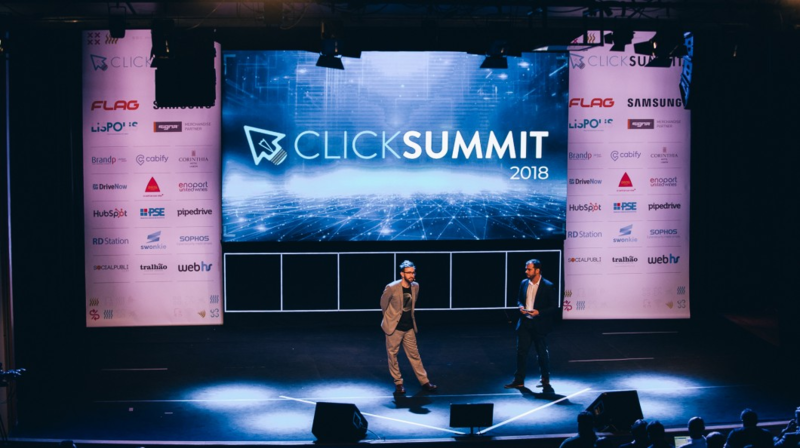 Photo of James Norris (founder) speaking at Click Summit 2018, Lisbon Portugal. In 2013 we launched a service called DeadSocial. This was the first service that enabled people across the globe to think about and make plans for their online lives. This also helped kick start conversations around planning for and safeguarding our digital estate across the globe. 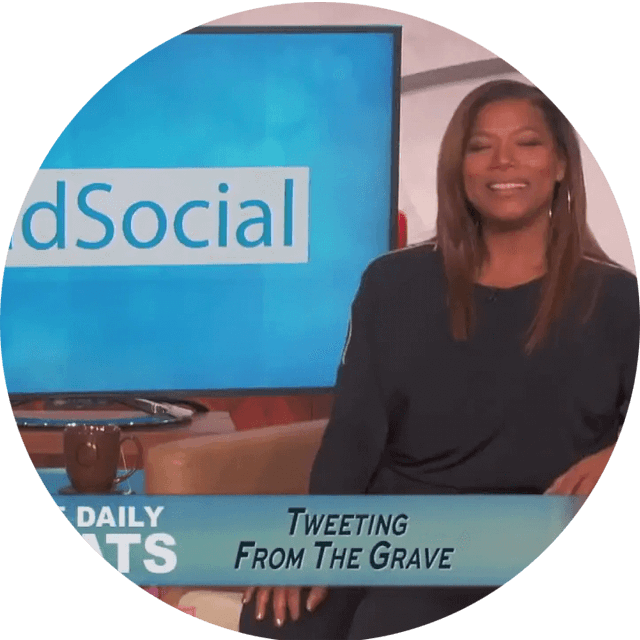 DeadSocial featured on the Queen Latifah show. After launching DeadSocial we found ourselves supporting the general public, patients, hospices, solicitors and funeral directors. The feedback, insights and direction received led to DeadSocial evolving into MyWishes in early 2019. We will empower you to document your wishes and safeguard the things in your life that are important to you. Once completed you can log back into your account at anytime during your life and update your wishes.